RT has won four medals at the New York Festivals 2015, awarding world’s best TV and film, with the awards handed out during the US National Association of Broadcasters Show in Las Vegas on April 14. 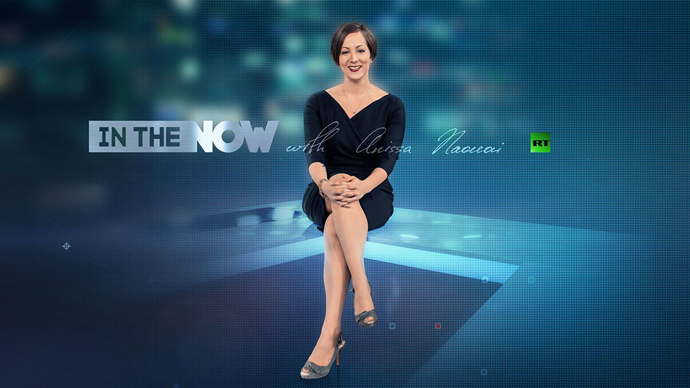 RT’s senior political correspondent, Anissa Naouai, won a Silver World Medal in the Best News Anchor category for her nightly news magazine ‘In the Now’. While CCTV America’s Anand Naidoo, host of ‘The Heat’, scooped the bronze medal, the top prize was not awarded at all. In the Now is a fast-paced, hard-hitting breakdown of top global news stories, airing live from RT’s studios in Moscow. The Silver World Medal for Best Documentaries on Social Issues went to RT’s film 'Albino Africa’, which tells a story of discrimination against Tanzanian children affected by albinism. RT’s 'Technology Update' program, focusing on science and innovation, left the likes of BBC Worldwide behind to take the Gold World Medal for Promotional Art Direction. The show’s creative promo reveals the vast opportunities to be presented by the implementation of nanotechnology in everyday life in the upcoming decades. Interview program ‘In A Word’, which airs on RT’s Arabic channel, received the Bronze World Medal for Best Documentary/Information Program Promo. RT has been a regular awardee at the New York Festivals medals in the last years. In 2014, the channel took gold for the documentary ‘Blood and Honor’, focusing on the Russia’s North Caucasus. Julian Assange’s headline-grabbing interview series ‘The Julian Assange Show’ won the top prize for a political program the year before. ‘Technology Update’ has previously taken the Bronze World Medal among Science & Technology information programs. RT is also the winner of the Monte Carlo TV Festival Awards for best 24-hr broadcast, and the only Russian TV channel to garner three nominations for the prestigious International Emmy Award for News.